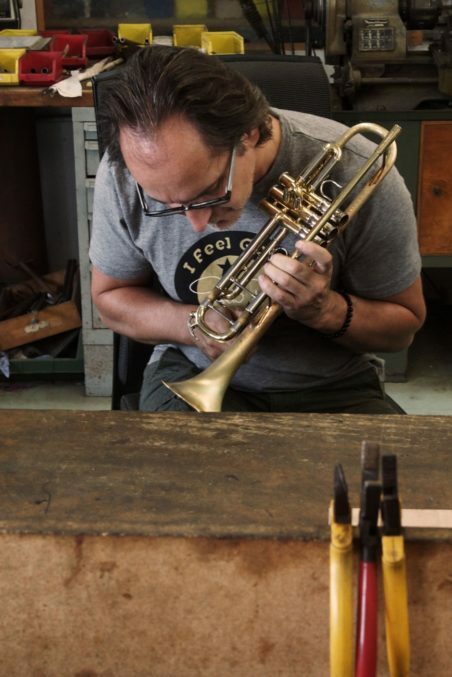 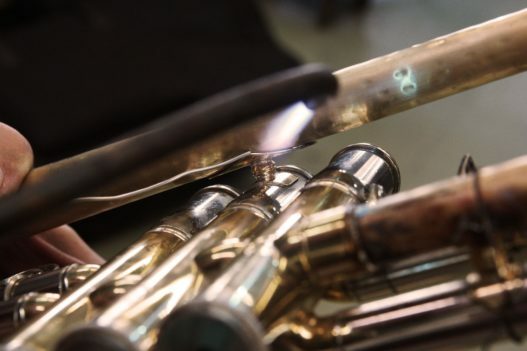 We do not only build the finest brass instruments, we also upgrade instruments, which were not built by us. 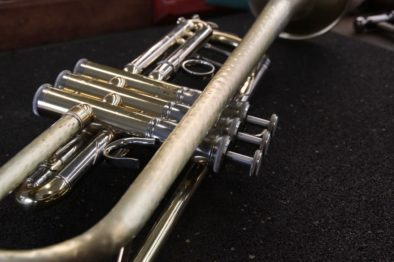 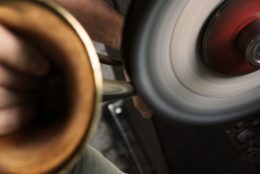 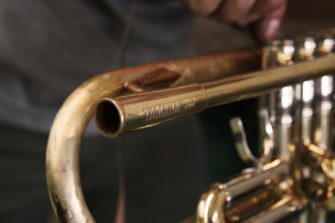 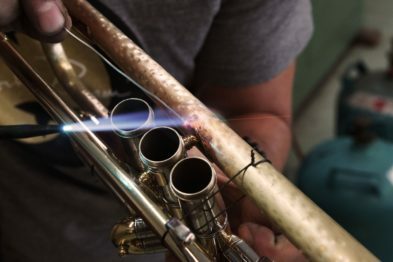 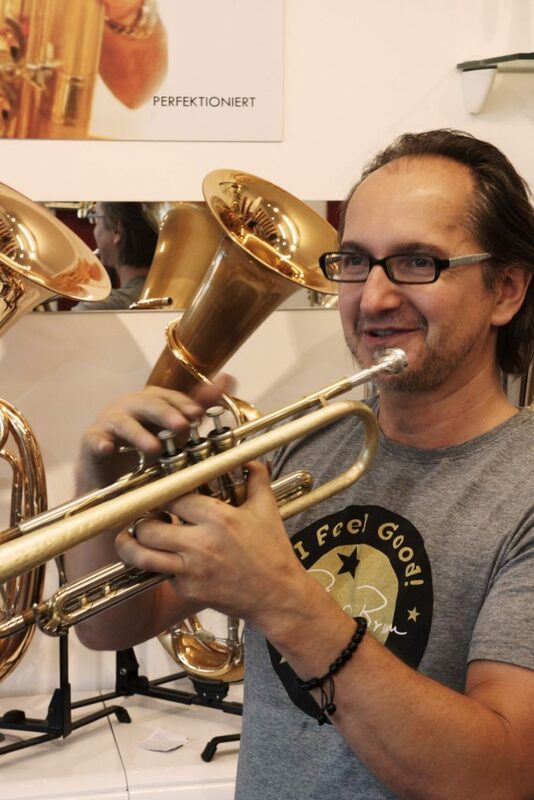 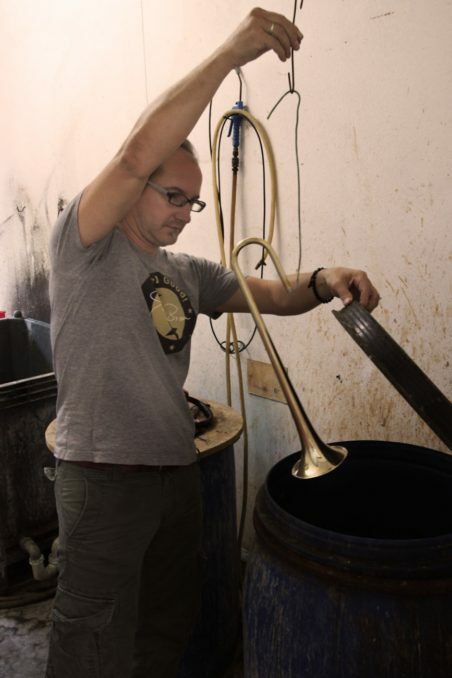 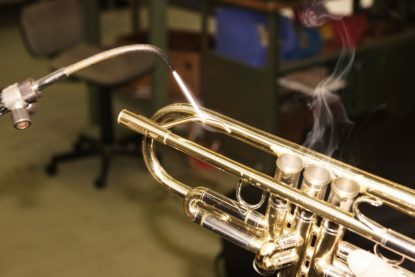 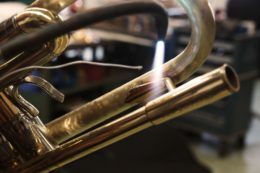 It doesn’t matter if it’s a trumpet from Bach, a Conn trombone or if you own and love a Yamaha instrument – if you think it can be improved, do not hesitate and come to us. 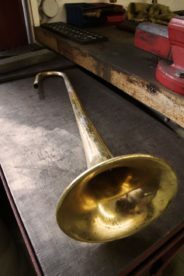 Is it the bell, the corpus, a tuning slide or a lead pipe finished with Singing Bell technique – your instrument, your ears, the ears of your audience and maybe the ears of your audio engineer will thank you. 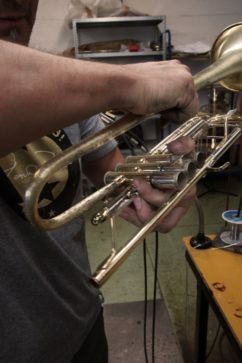 You simply send your Instrument as a whole or just the part you want to be upgraded and we will do the job! 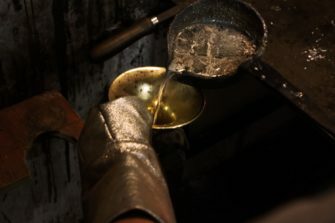 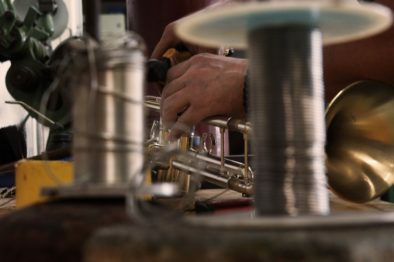 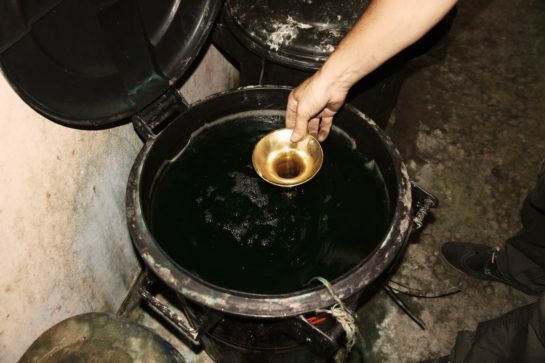 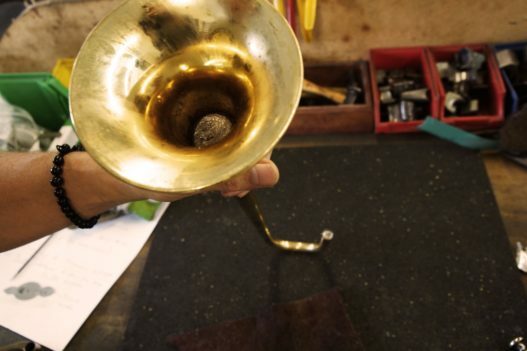 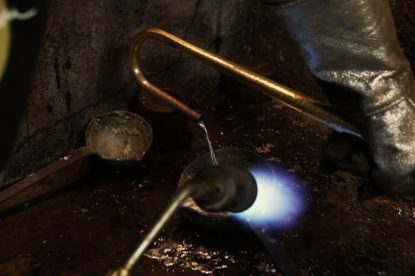 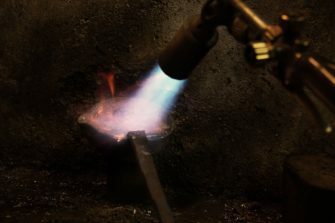 And if you do not want us to change the original part, we also offer completely new parts finished with the Singing Bell technique – exactly as you wish or an improved copy of a draft. 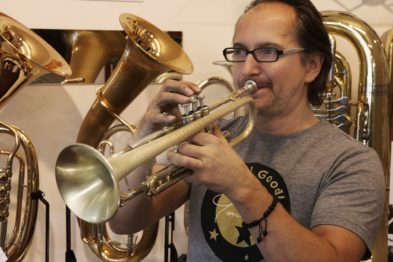 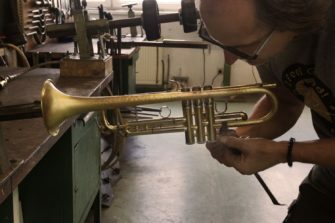 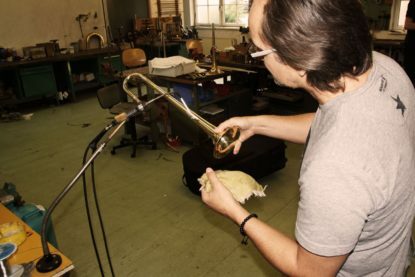 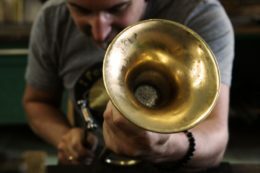 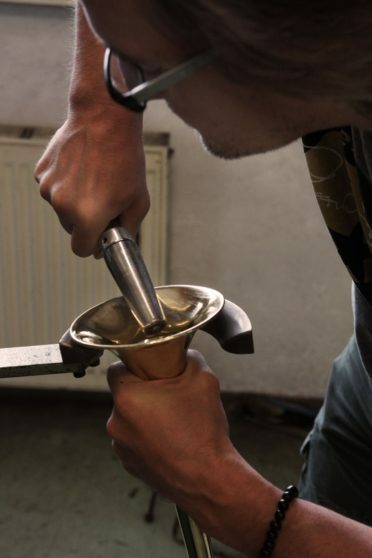 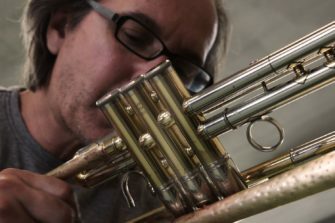 A trumpet bell modified with the Singing Bell techniqe (depending on the surface) will cost from 650 EUR, the lead pipe of a trumpet already starting at 190 EUR. 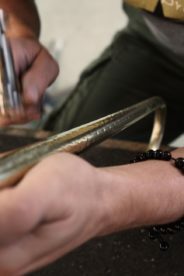 If you want to know the exact price, do not hesitate to contact us. 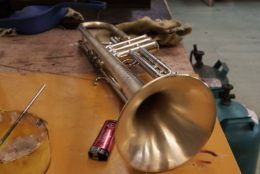 This short photo story should give you some idea about the different steps of the upgrading process of a Yamaha YTR-6335HII.